(1) Apple Computers (2008 Intel Imac, 2004 G5 Imac, 2004 G4 Powerbook) – My first computer was a 486 Digital Equipment Corp, and then later bought a Pentium IBM Aptiva. When viruses and reinstalls, and craziness got me in a fever pitch, I invested some college money in my first Apple. The G4 Powerbook is still used, and the G5 and Intel Imacs I use at home and office are the sleekest, easiest to use tech enablers I have today. In a year or so I’ll have to update my G4 Laptop to a MacBook Pro. Can’t wait. (2) Iphone (3g, OS 4.2) – My first cell phone was a Nokia free phone I got with my first AT&T plan in Florida. 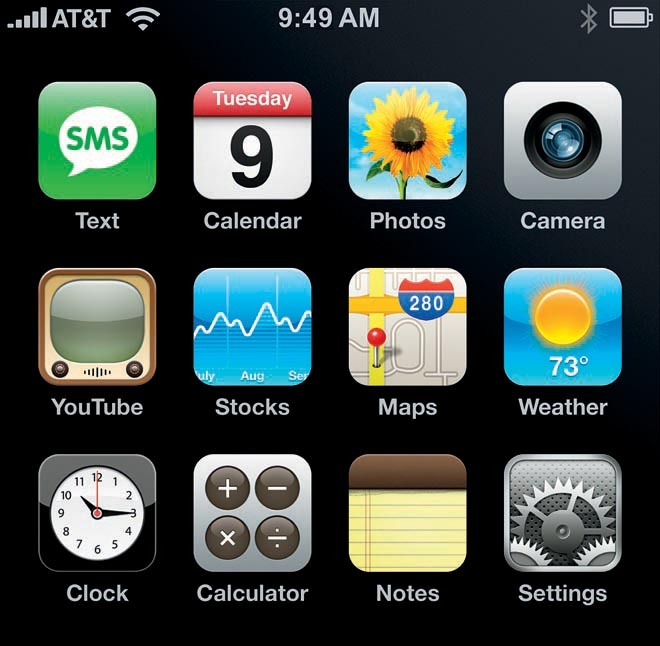 I’ve carried the same number to different carriers and different states, but with the Iphone came out, I tossed my current flip-phone, and handed my ipod touch to my wife, and have been wowed by the amazing smoothness (though not without bugs) of the Iphone. I love the no-feedback keyboard for my fat thumbs, and the amount of games I download and play – well, its ridiculous. Best thing my wife likes – Being able to course correct using Maps app in Atlanta traffic. That’s the win guys. (4) Facebook (online, app) – I switched from Myspace because I got sick of the raunchy ads on News Corps ad machine. Also, html edits kept crashing my browser, and Facebook was cleaner, and so much more simple. It was like a business card for life. Now, alot of our church is on there, I have almost 900 friends (which I know em all – wow), and do alot of communication that I would otherwise do on the phone or through email by this app. I don’t play games on it though, because I don’t like third parties using my information. http://www.facebook.com/dannonhill (but I’ll only add you if I know you in real life somehow or respect your research in your field). (5) Twitter (online, app) – I was an early adopter of Twitter, but it didn’t catch me for about a year. I had a dormant account. Then I started finding other youth ministers on there, and found out that they linked their blogs. I also found all the news sources I like on Twitter, and some experts on adolescent and religious development, so I basically had a stream of what others thought was the most important content in my field. Basically predigested research. I’m now an avid twitter reader by surfing articles and blogs, and the Favorite tab allows me to Star important articles so I can share my favorite feed with others, or save it for later. My twitter is @dannonhill if you want to say hey 😉 On a side note – the Twitter App is well worth it (used to be Tweetie until bought by Twitter) and I manage 8 twitter accounts there now. It works well. (6) Pandora (app) – Basically, I listen to music (like the Moody Blues) in feed style on this app. It basically just takes whatever style I want to hear and keeps playing songs in that genre. Kind of nice, and you can thumbs down any song you don’t like. I have the unpaid version, so ads happen sometimes, but that’s no bid deal. I hardly use my ipod app anymore because of this. (7) Kingdoms Live (app) – I have been a huge player in Kingdoms Live, and even lead up a clan of 150 people (my code: 2ps1r). My name is Muad’Dib there, so drop in and say hey if you have a profile. For gamers, this is a stats based Multiplayer Online Game like an RPG, based around building a strong profile and fighting others by buying gear. Use this app in conjunction with Palringo Chat Application where the players go for talking off the record. Great game, lots of fun – though watch out – some of the trash talkers are more than pg-13 (but you can report them to Storm 8). (8) Playstation 3 (Sony) – I watch DVDs on this mostly, with my wife, but I have a few FPS RPG games (Fallout Series) that I enjoy exploring in. My brother bought it for me for my Seminary Graduation gift, and its been in non-stop use since then because it really is a one stop media machine. Thanks Aaron. (9) Xbox 360 (Microsoft) – We bought this with the Kinect for our youth group, and it was a big hit. It gets em jumping around, and people laugh at the silly pictures of you playing after your done. If you have a group of Middle or High School students this is great leisure, and for personal use, its similar to the PS3 in gaming and has a broader user base as well. (10) Wii (Nintendo) – I had the Wii when it arrived by being a Nintendo fanatic and waiting in a cold New England line. I love Zelda, Mario, and Metroid, so it was an easy decision. Lately, however, its main use has been to play Guitar Hero III at youth group. The wireless guitars are great, and always get a room talking. Love it. One side excursion, the mini-game Lit is freighteningly good even with its PS2 like graphics. Download it now. (11) Real Books (For Real) – I’m part of a Sci-Fi Book club, and read fantasy and other epics from time to time. Lately, The Hunger Games by Suzanne Collins have my attention, but the Dune Series by Frank Hebert and his son have enthralled me. I’m also a CS Lewis and JRR Tolkien fan, but who isn’t. Just bought the whole Chronicles of Narnia collection in one book at the library for $3. 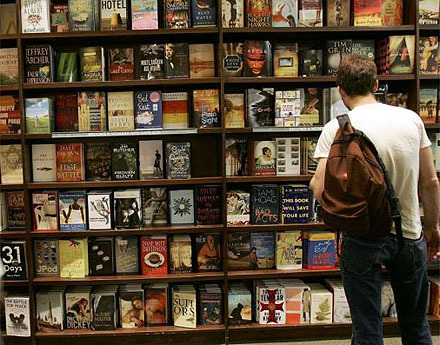 Nothing like having a solid book to read, and I still don’t feel good about the digital book revolution. I’ll wait til the kinks are worked out. (12) Dropbox (on computers, iphone) – All my important files that I need everywhere are now wherever I go. Dropbox gives me 2 GB free of storage space, and then pay for more if you need it, to have your files in a cloud. I can access them on all my macs, and amazingly, my iphone as well. I’ve used this so much – try it out. (13) Evernote (app, online) – Just got tipped off on this by Adam McClane (Twitter @mclanea, Blog: http://adammclane.com/) who uses this to collect his thoughts for blogging, pics, and notes etc on the run. I’ve used it several times and am getting more and more into it. Especially the ability to take a picture, sync it, and be able to access the picture on my computer later for blogging without having to sync my phone. Excellent app, thanks Adam. 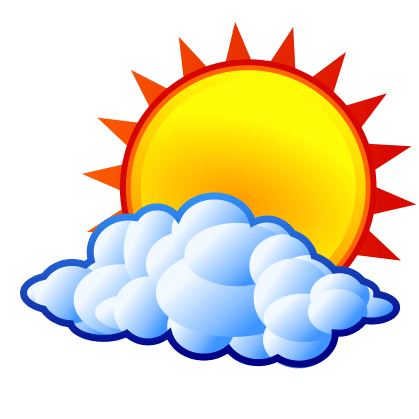 (14) Camera, Contacts, Calendar, Clock, Safari, Photos, Notes (app) – SO basic – So Necessary. I use these constantly. 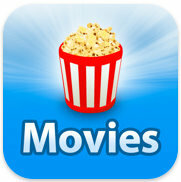 (15) Flickster (Movies App) – My wife and I love the movies, and this has been a great app to easily grab movie times, ticket prices, phone numbers of theaters, etc. They have lots of other integration that I don’t use with their internet website. (16) Word, Powerpoint (Microsoft) – I’ve always been a Word guy, and when I went over to Apple, I didn’t think that Apple’s solutions were as good, so I bought a school copy of Microsoft Office, and I’m glad I did. The Mac version of office is very robust, and it means you can communicate easily with .docs with the rest of the world. I like the ease of use, and that’s why I stick with this suite. 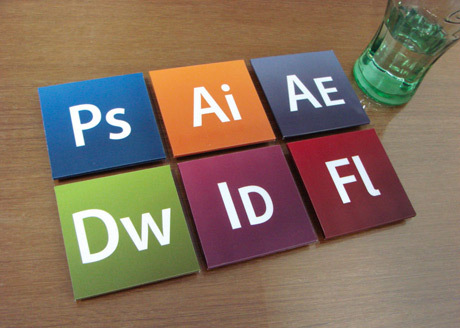 (17) Photoshop/Illustrator CS1 (Adobe) – If you want to do any Graphic Design, you need Photoshop! And for logo design, I am a big fan of Illustrator. If you’re a youth minister, these Creative Suite applications are good to save you lots of money in sending out graphic design work if you have time and creativity to pursue it. I’ve been using these tools since High School, and continued in Graphic Design classes in college, and continue to aid the visual culture of my and other youth groups with these programs. It’s well worth it, but initially pricey. May have to budget it in. (18) Garage Band (Apple) – Every once in a while I like to record something. I was in a band in college called Dj Why and the Image, and I miss those days – so I tinker. Google my name with For Sheriff and maybe you’ll find some of my stuff done in Garage Band. (19) Holy Bible (app, by Paul Avery) – Of all the Bibles out there in the App store, this is the one I’ve latched to. I know there are some internet dependent ones that are better, but this one is completely offline, and has lots of versions including some Hebrew and Greek versions. Even Russian. I like that, and have used it since I got my Iphone. 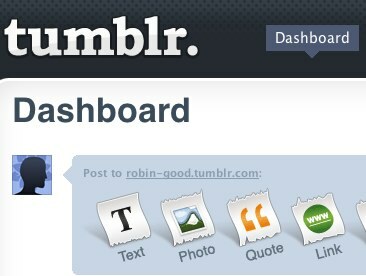 (20) Tumblr (online, app) – I’ve just gotten into Tumblr, because I like the quick microblogging that is possible. I’ve wanted to make a Youth Ministry specific blog, and I now do that through Tumblr. Still learning how it works, but so far, I’ve found some youth ministry sites on there that are great. Only issue right now is that unlike wordpress (which is my personal regular blog), you don’t seem to get alot of random google traffic. I don’t know if that even matters, but my ego likes to see numbers. One nice thing about Tumblr is that it has easy Twitter integration, so it can autopost to a corresponding Twitter account. Check out my integrated sphere here (http://twitter.com/multempire, and http://multempire.tumblr.com). (22) WordPress (online, app) – This is by far the best blogging service all around that I have experienced. It is highly mod able, though I’m not proficient enough to dig like others I’ve seen blogging. I like the ease of use, and the ability to make regulars like me look better than I really am thanks to skins, and automation of many tasks. This very blog is going out to you on WordPress, and so are 115+ other blogs I’ve done in the last year and a half. The stat tools are good for OCD folks like me, and in combination with StatCounter, the site is well thought out, and fun to surf blogs on. Look down below, and you can start your own blog. Take the time – its fun. My life has been revolutionized. When I was a kid, I had to either subscribe to a Newspaper made of actual paper, or I had to go to the convenience store to purchase a copy. I loved flipping through the pages, but it was never very portable. I also hated how to make it portable, I had to make annoying creases that made it harder to turn pages when you were at Dunkin Donuts. But other than for coupon clipping (which is also going online), I now no longer use a physical paper. Why? Because two services online have completely streamlined the process for me in a much more efficient manner. The two programs are Twitter and Instapaper. On my Ipod Touch, I have a program called “Tweetie” which takes Twitter and makes it very easy to post and read other’s posts. I get a steady stream of information about my peers in Youth Ministry, as well as from friends who are doing whatever. Much of the info, I just scroll through, but when there are interesting headlines from local news sources Twittering, or from “The Economist” or CNNBRK – I click it. That is when I have some options. 1) I can just go to the article and read it in Tweetie’s built in browser. That is fine if I have time, but often I’m moving about, so an option to put into “Instapaper” also comes up. 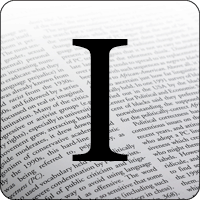 Instapaper is an online program that saves blogs, articles, and online content for later. You sign up (rather easily by putting in an email) and then you click on a button to install the “Read Later” bookmark in your browser. Every time you surf through an interesting article on something like “Youth Saves Lives”, but don’t have time that second, just click “Read Later”. You can later go to the Instapaper website, and click on your list (and make folders to categorize them) and the articles come up on Instapaper’s servers. It is your own private newspaper collection. Then, I take it further. 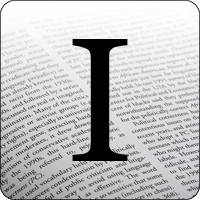 I found out that Instapaper has a free (and a paid – worth it!) app on Apple’s App Store. The paid app costs 4.99 but gives you such flexibility that it is lightyears beyond the free version. Now, on my Ipod Touch, I upload my “Read Later” articles through the app when I have Internet access, and then later (when I’m at the Dentist’s office where there tends to be old “Time” magazines and “ESPN” – which I don’t read), I open Instapaper on my Itouch and BAM! I’m have about 45 minutes or so of reading material I’ve downloaded to the Itouch’s harddrive. It’s hard for me to explain how this has streamlined my news intake. A possible critique of this is that I’m only getting the news I want. Well, I tend to go to many news sources on Twitter to balance myself out. I read many headlines, and I like to think I’m fair and balanced in finding opposing viewpoints in order to get the big picture. On the side, It’s been great to categorize good Youth Ministry (my profession) blogs for later, so that I can go back to the article later and print it out for Youth Leader Training, or for encouragement, or whatever. Truly fantastic. Even if you don’t have an Ipod or Itouch, check out Instapaper.com, install the Bookmark, and see how neat this is. I never really go to Google News anymore thanks to this little wonder. It’s so much more efficient, and I like to use up those quiet moments (like at the DMV) when you could be stressing, for good reading and current events instead. For anyone interested (with an iphone/touch), I play a game called Kingdoms Live. It is slightly obsessive because the game is based completely on stat grinding. You buy weapons, armor, and spells, and your character levels up, so that you get a total number of attack, and if your attack number is bigger than someone else’s, then you win when you battle. Battles are instantaneous based on stats. You buy weapons, etc. with Gold, which you earn by either attacking other people online, or by buying land. Land is expensive and it gets more expensive as you buy more of it. You also need land because it provides income which is used to support the upkeep of your armor, weapons, spells. Each sword, ax, etc, has an upkeep cost. You also need to invite others online to join your army. This is a very impersonal task, the main goal is just to get a high number, because the more people you have, the more weapons etc. you can equip and the higher your attack number. Lastly, when you’re all armed, you can go on quests, which are like battles, but have tag lines like: “Invade the Kings Castle” and there are requirements. You have to have a certain amount of people, and certain amounts of certain weapons, and you have to expend Mana to do them. Anyways, if you’re interested, here is the link to check it out: here (you need itunes and an iphone/itouch). For the geeks out there, or anyone who plays the game is obsessively addicted to it, here is what I just did, and I think it is awesome. I spent all my time accumulating land so that I had a combined income of 100,000 pieces of gold per hour. In the meantime, I’m being mercilessly attacked by those who are spending all their money on weapons. I calculated that I could buy the most powerful equipment for 67 of my soldiers with 2.7 million pieces of gold. So I bided my time, bought land, and more land, and got attacked more and more. I also memorized names of those who attacked me while I was weak and mined me for gold. I then had 100,000 per hour income, and 2.7 million in gold this morning. I bought 67 Mithril Axes, 67 Mithril Sheilds, and 67 Teleports (the most powerful and expensive spells in the game at my level), and I began attacking them back (particularly a character called Chan Tihn). They have been devestated. I don’t know how long my power will last, but right now, the hunting is good. Let me know if you play, and what your strategy is.